Happy Monday! I enjoying my next to last week of freedom before going back to work with sewing. The wonderful ladies of the Tyler Modern Quilting Group have donated several WIPs and sets of blocks toward Covered in Love. This top was finished and almost big enough, I just added some borders to bring it up a bit in size. I was running low on the polka dot fabric so I had to improvise. 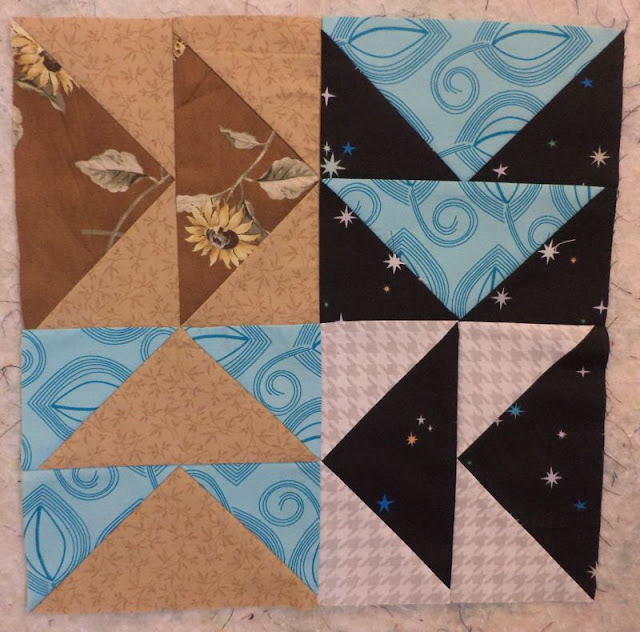 I think I'll bind this one in black to pick up on this neat black fabric in some of the blocks. I have no idea what the pattern in called since I didn't piece it, but I'm calling it Chain Links. I was also given a set of a dozen sampler blocks from a block of the month project. I set these using a textured black with highlights of blue and grey in it. Don't the bright fabric glow against the black? 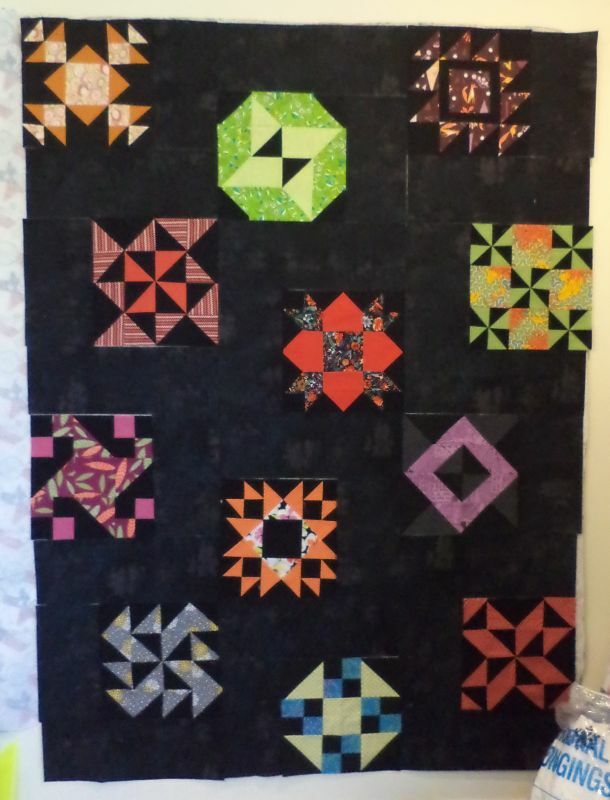 Remember, I am always accepting donations of quilts, tops, and blocks toward Covered in Love! These comfort quilts are given to the family to take home when a patient passes away in my local hospital. Starting this month I'm posting a request for specific blocks each month so if you want to help out you can make a block or two. 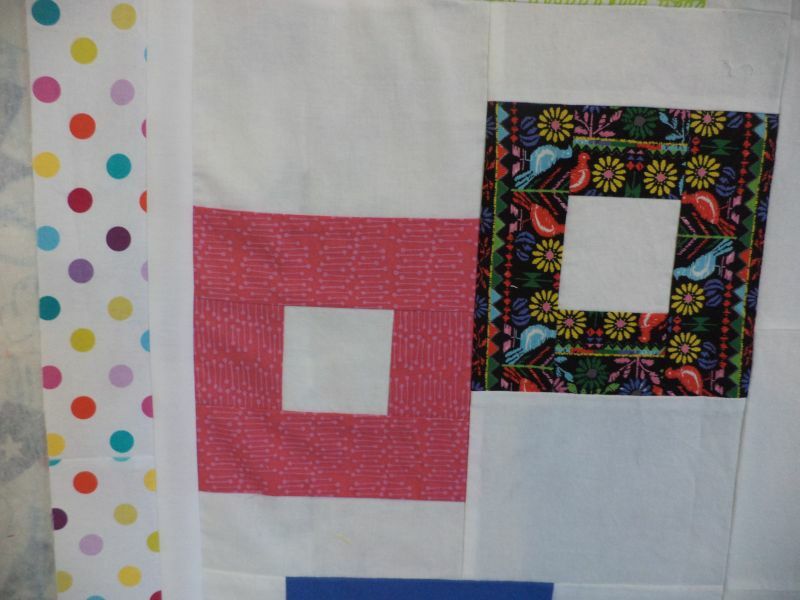 Find the post for this month here; we're making flying geese blocks. 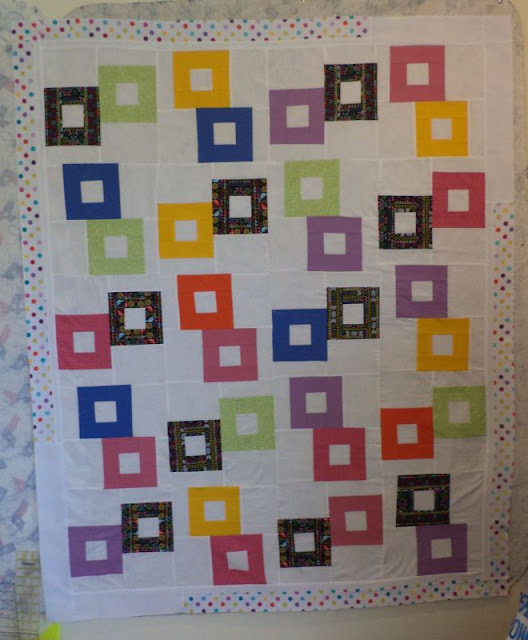 Chain links is a great top and your improv border looks great! And the blocks set on the black background is stunning! 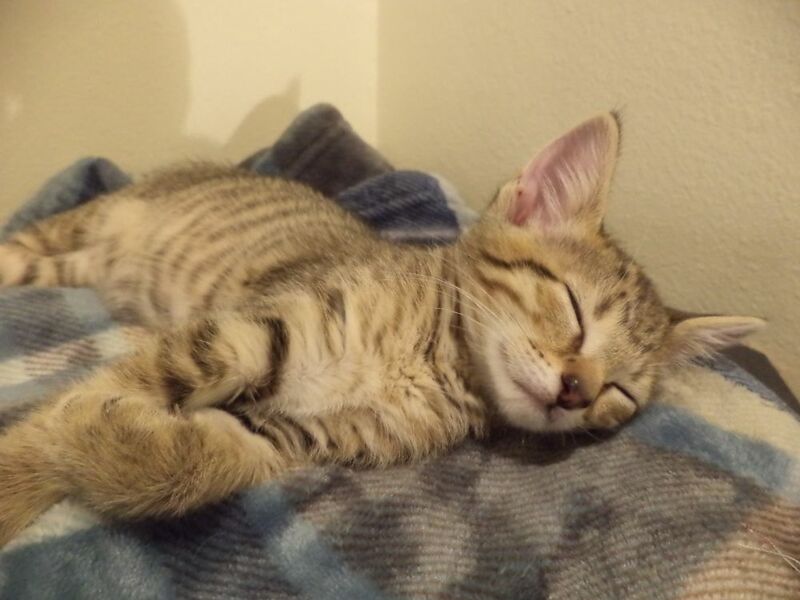 I think the cute picture of Rory, just because might have stolen the show ;) SO adorable!